This year I was inspired by an idea I found on a blog called Flourescent Beige. 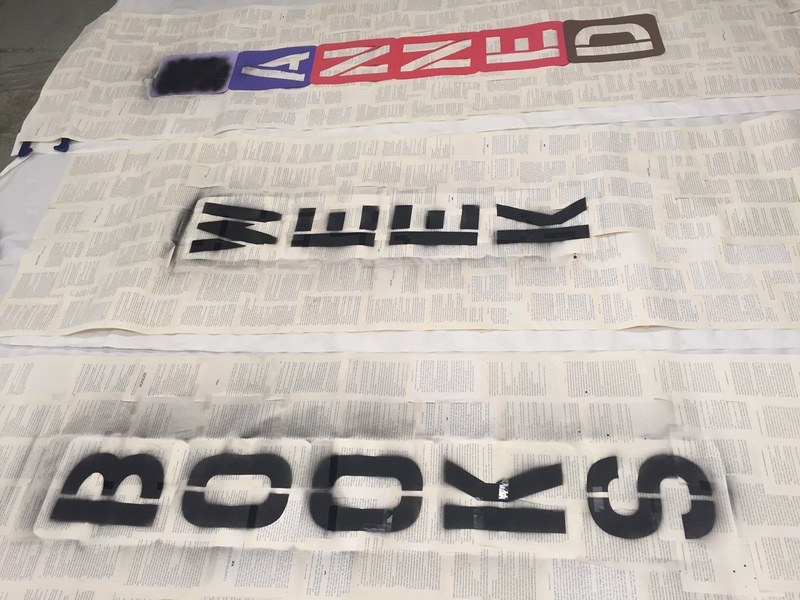 The author created giant, amazing banners for Banned Books Week, and we did our best to replicate her amazing design. One mistake I made was unrolling them with the scotch tape side up. 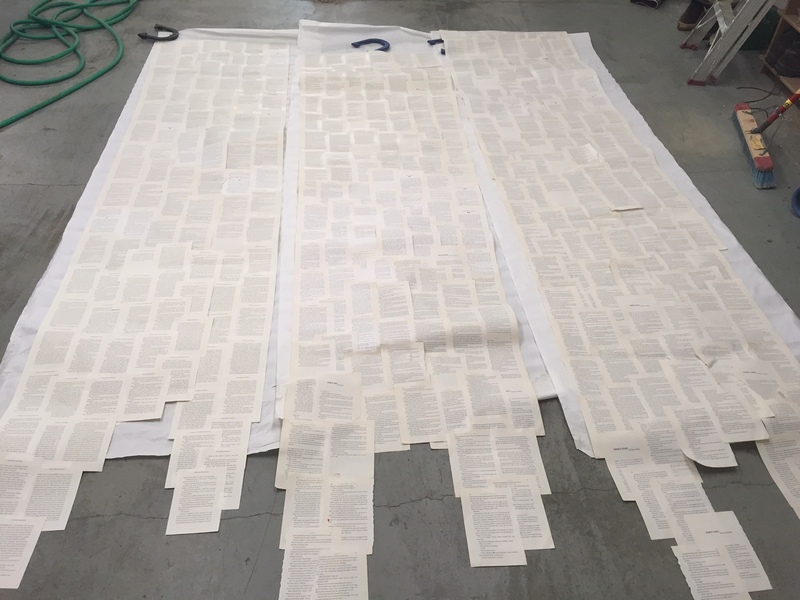 It’s not a huge deal, but the spray paint will look better if you keep your tape on the back side. 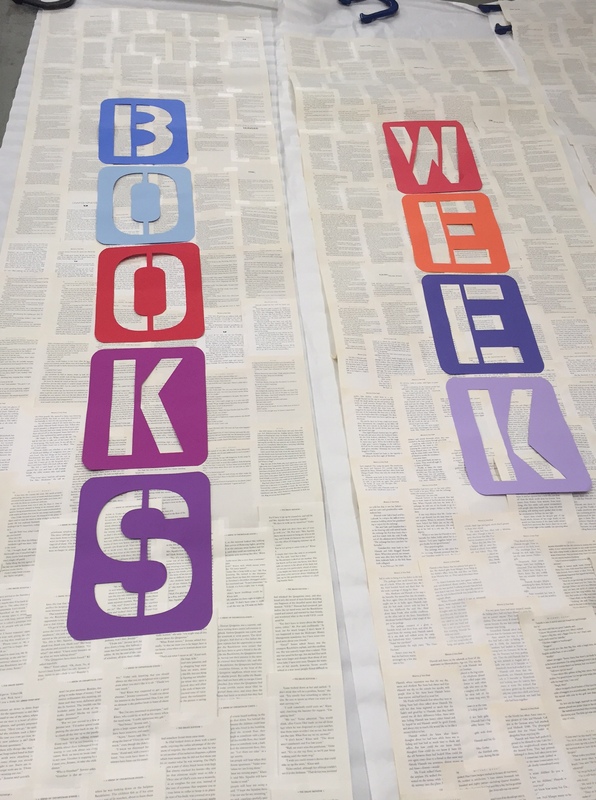 Hanging them in the library was a slight challenge, because they are long. 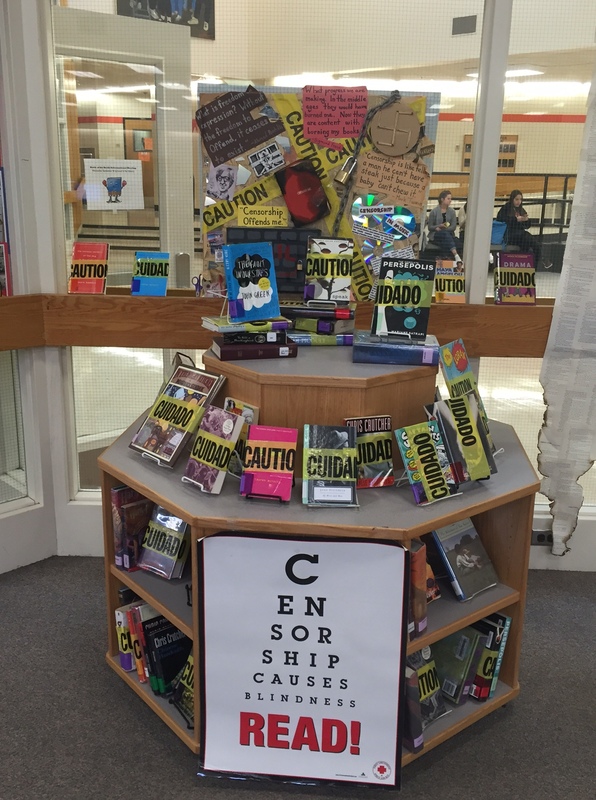 We couldn’t hang them in the place I originally planned because our ladder wasn’t tall enough! 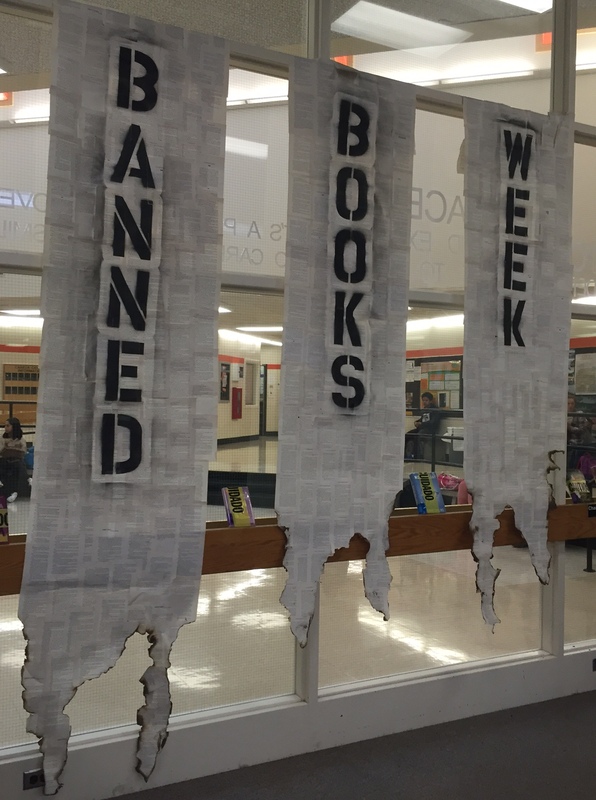 We had to fold over the top and hang them in the windows instead. Definitely measure before you start assembling and painting! 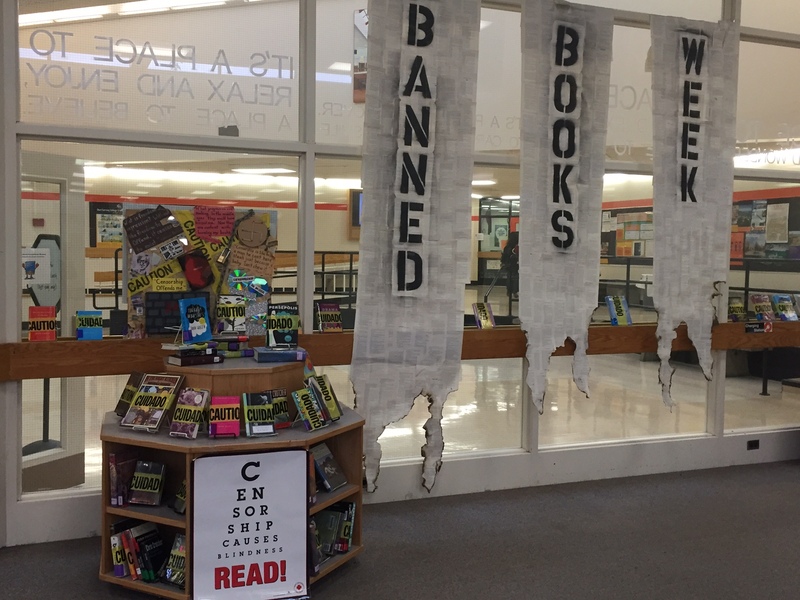 We received scads of compliments on our banner, and it was the perfect backdrop for my Banned Books Week/Censorship lessons throughout the month.